Yoga wear and exercise clothing for Women. Pointe Shoe Fittings are available by appointment only. Please allow 1 hour. Call for appointment, 760-913-9139. A $35 fitting fee is required. This fee will be applied to your purchase of pointe shoes. Ribbon Cutting at Dancin Soul Boutique Join us for our official Welcome to the Village Ribbon Cutting with the Carlsbad Chamber of Commerce Thursday, September 25th at 4pm. PRESS RELEASE Dancin’ Soul Boutique opens in Carlsbad Village September 16, 2014 Carlsbad, CA – A new dance wear boutique has opened in the north county to serve the hundreds of local dancers. 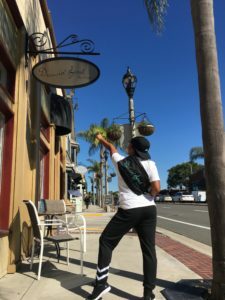 As a dancer and a dance mom for over 20 years in Carlsbad, Della Stewart, recognized the need for a place in Carlsbad for dancers to try on and be properly fit in their dance shoes and clothes. The Carlsbad Chamber of Commerce Ribbon Cutting ceremony will take place Thursday, September 25th at 4pm at the new store. Located at 540 Carlsbad Village Drive, Carlsbad California. Press and public are cordially invited. About Dancin’ Soul Boutique Your new local source for all your dancing needs. This boutique is born from a former dancer who wants to provide an amazing shopping experience for all dancers and their families locally. We offer a wide variety of brands and styles for kids to adults. Pointe Shoe fittings by appointment. 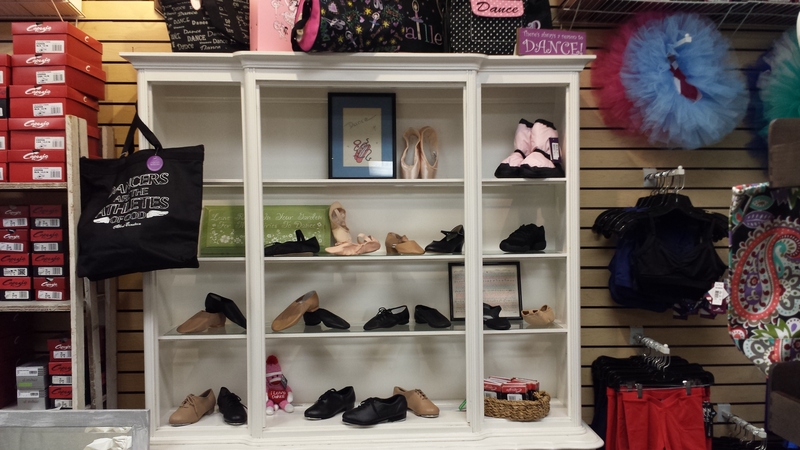 The place to find dance clothes and dance shoes for dancers all sizes and ages in Carlsbad Village.